Good news! Land prices in Bangkok was increased for 5.3% from last year. However, it does not mean that the economy of Thailand was recovered. 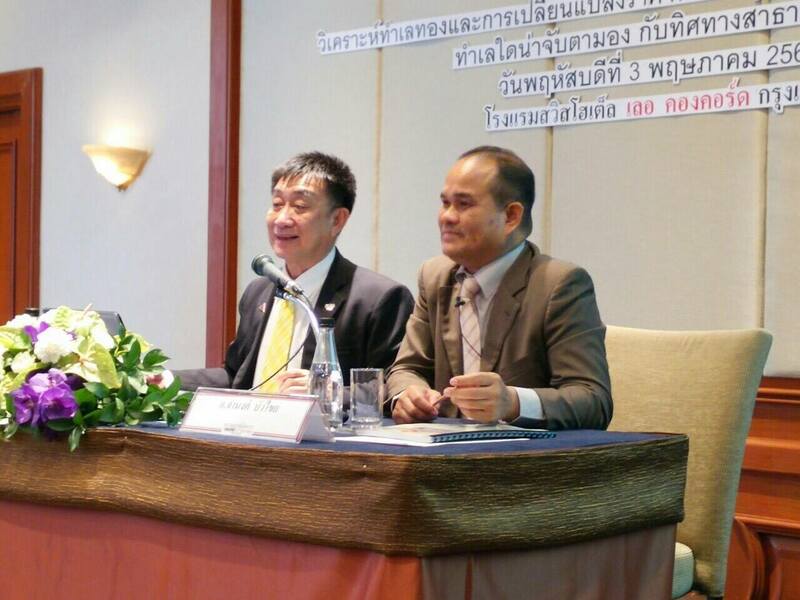 Dr.Sopon Pornchokchai, President, Agency for Real Estate Affairs (AREA) which is the largest real estate information centre in Thailand since 1991 revealed that AREA just completed the latest survey of land prices in the Bangkok Metropolitan Region and found that on the whole land prices in Bangkok has an increase of approximately 5.3% per annum. This was the result of a consecutive survey since 1994. Altogether 324 threshold sites in major areas in Bangkok were valued every year. This increase is higher than the deposit interest rate of 1.5% or slightly lower than the loan interest rate of 6.5% However, this increase was not because of the recovery of the economy of Thailand at all. The drive behind the increase is the development of mass transit systems. Currently there are altogether 124 existing and planned mass transit stations where land prices around are increased substantially. Locations with the most expensive land price in Bangkok are Siam Square, Chid Lom, Ploen Chit and Na Na at a price of Baht 2.2 million per sq.wah or Baht 550,000 per sq.metre (USD 17,742 per sq.metre or USD 1,648 per sq.foot). In 1994, it was only Baht 440,000 per sq.wah or with an increase of 7.4% per annum since 1994. These are the stations of the BTS Sky train which was built in 1999. In Thailand, the highest amount of bank note is Baht 1,000 or USD 32.26. At the highest price of Baht 550,000 per sq.metre, a stack of around 6.4125 folds of the Baht 1,000 bank note is needed to put on this piece of land. In other words, a price of Baht 550,000 per sq.metre can exchange for 440.7 grams of pure gold and can used to build an apartment sold at Baht 400,000 per sq.metre of its saleable area. On the contrary, the cheapest land prices were Baht 2,700 per sq.wah (Baht 675 per sq.metre, USD 21.774 per sq.metre or USD 2.0228 per sq.foot) in a remote area of Lam Look Ka. Land prices decreased from Baht 2.2 million per sq.wah to Baht 2,700 per sq.wah for a road distance of 70 kilomtres or a geometric distance of 50 kilometres from the city centre. This implies the high concentration of land prices in Bangkok.